Growing up in Cricklade, Ali learnt the violin and piano before transferring to the double bass at the age of nine. Ali took up a scholarship to the prestigious College and then later graduated from the University of Surrey with a first in performance. Ali went on to be awarded a distinction for her PGCE in secondary music and began her teaching career at Malmesbury School. After two years, she moved to The Commonweal School Performing Arts Academy to be Head of Music, and last year was successful in gaining a further promotion to Head of Expressive and Performing Arts. 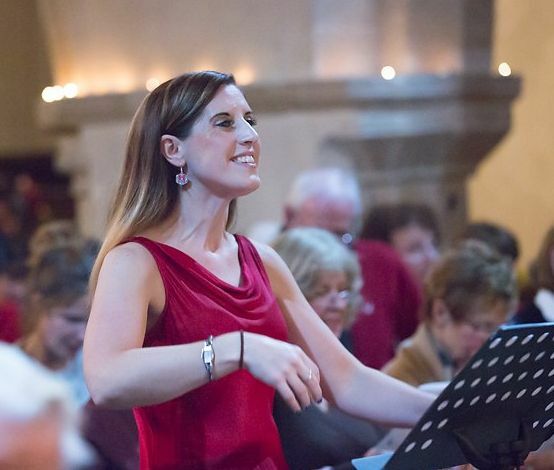 Ali directs many vocal groups within her school, and has also directed Swindon's “Big Sing Thing” choir and been a singing coach for “My Stage School”. Ali was keen to get involved with the AKVC alongside husband Richard, as it would give them an opportunity to make music together and give something back to the community Ali grew up in. In fact, a look back through the choir archive shows that Ali featured in many of the early concert programmes from around the year 2000!